Easy Oven Roasted Potatoes | Mommy, I'm Hungy!! 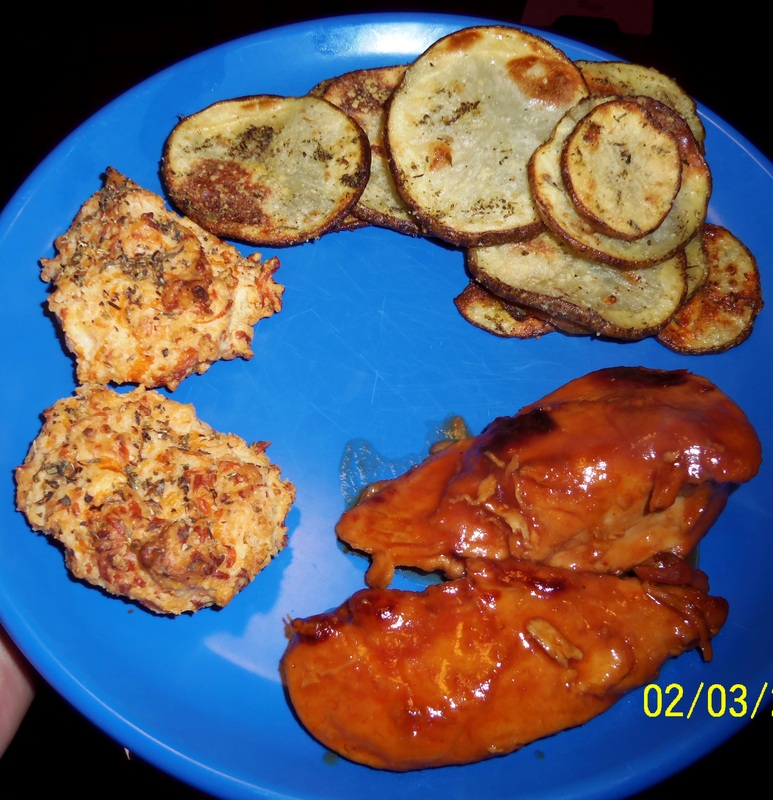 Tonight for dinner, I made Crockpot BBQ Chicken and had fun looking for sides to go with it. I decided to make Easy Oven Roasted Potatoes and they were delicious! Slice potatoes into very thin slices (1/4 inch). 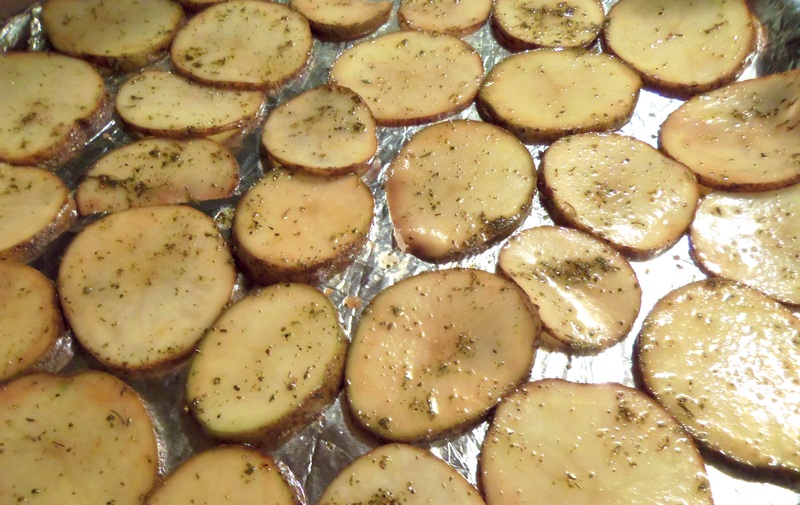 Mix olive oil, Italian seasoning, and salt in a large ziploc bag and add potatoes. Toss potatoes well to coat. Place in a single layer on a baking sheet lined with foil. Bake at 450 for 15 -20 minutes, until lightly brown. Top with Parmesan cheese and bake an additional 5 minutes. These were so delicious. It can be difficult to slice these so thin, so some of mine were a little thicker and stayed soft, but were still delicious!! Even Cheyenne loved them and ate several. Check out the Cheddar Biscuits I made to go along with these. They taste just like Red Lobster’s Cheddar Bay Biscuits!! Let me know if you get a chance to make this and how you like it! I love comments!